You spend so much time in your car that it often feels like a member of the family. When it is not performing well, you want to take it into a transmissions Milwaukie shop that can take care of it properly, just as you would take a family member to a trusted family physician. 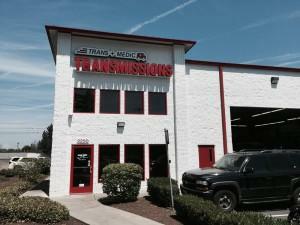 At Trans Medic Transmissions repair our professional technicians have more than sixty years of combined experience working on transmissions. We provide the highest quality service and stand behind our work with our nationwide warranty. At Trans-Medic Transmissions we use state of the art technology to help us test your transmission and diagnose your transmission problems. Once a problem has been determined, our technicians will inspect the transmission to determine whether it can be repaired without needing to be removed. We can repair or rebuild your transmission and the procedures we use meet our rigid standards. In addition to our top of the line service, we only use high quality parts to repair your transmission. Our experience allows us to work on almost any vehicle. When you have a specific medical problem, you want a specialist in that area. We specialize in transmission, so when your transmission is acting up, you want the transmissions Milwaukie specialist rather than the general practitioner. 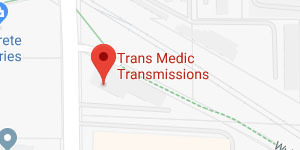 Call Trans-Medic Transmissions today for any issues you may be having with your transmission.